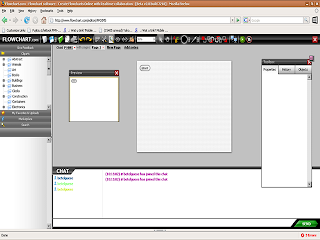 Flowchart.com is an online multi-user, real-time collaboration flowchart software. Flowcharting made easy. It does not require any software download, it works with your favorite browser such as Fire Fox, IE, Opera, Safari, Konquerer plus it works on any Operating System. Create and share your flowcharts for free! This is a very useful tool for teams whose members are working remotely. You can collaborate with your colleagues in real-time. All collaborating parties can chat and design a flowchart at the same time. Upload your original clipart and use it in your flowchart, or share them with the community, or sell them. In the Greek mythology, Mnesmoyne was the personification of memory... the goddess of memory. This titaness was the daughter of Gaia and Uranus and the mother of the Muses by Zeus. Chean is a soft-hearted techie girl who wants to find true happiness in her life as she explores the world of computers and cyberspace - the Internet. I also accept freelance projects - website development and customized systems development, whether web or windows based. PHP User Group Philippines, Inc.